Bihar State Cooperative Bank Exam Pattern | Know your Exam! 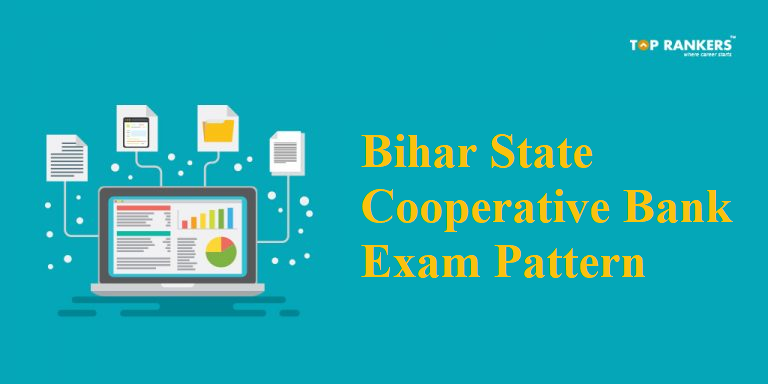 Know complete exam pattern for the posts of Assistant and Assistant Manager – Bihar State Cooperative Bank Exam Pattern. As Bihar State Cooperative Bank Exam has published a notification of Assistant for 326 vacancies and Assistant manager for 108 vacancies, aspirants are looking to kick start their exam preparation. The first and foremost step for any exam preparation is to know the exam pattern. Exam pattern gives a raw idea what is asked in the examination. The preliminary examination is the very first step of the selection process for the post of Assistant. It comprises of 3 subjects having a total of 100 Questions for a total time of 1 Hour. The prelims exam will be conducted for 100 Marks. Once the Prelims examination is over and candidates who clear the preliminary examination will be eligible to write the mains exam. Mains examination will consist of 5 subjects having a total of 200 marks for 2 Hours. In mains, language can be chosen as either Hindi or English. After the mains exam is over, a new list of candidates who qualify mains examination will be published officially. Candidates who will successfully qualify the mains examination will be called for Document Verification as the final step of the selection process. The preliminary examination is the very first step of the selection process for the post of Assistant Manager. It comprises of 3 subjects having a total of 100 Questions. Each section will have 20 minutes to finish the sectional exam. Hope you like our post on Bihar State Cooperative Bank Exam Pattern 2018 for Assistant and Assistant Manager. If you have any query or suggestion, Do write us in the comment below.